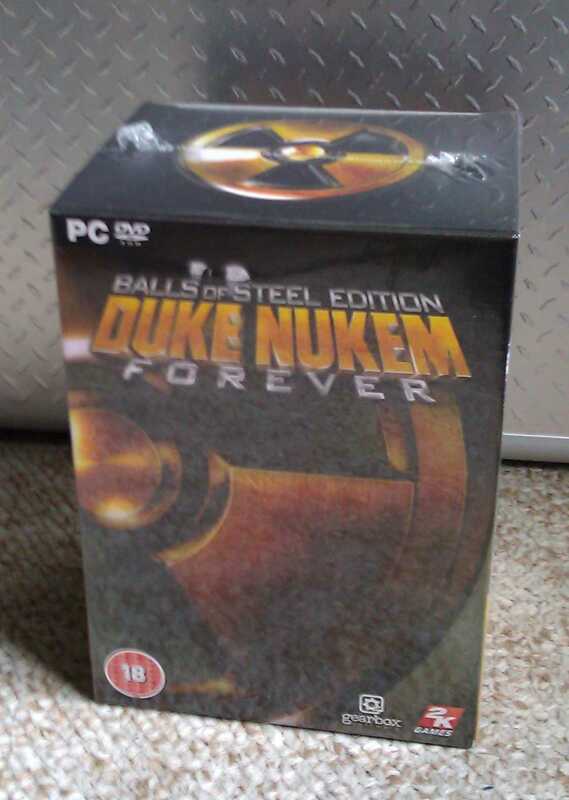 On Thursday last week I received my copy of Duke Nukem Forever: Balls of Steel Edition. I’ve had, up to now, 2 collectors edition games of this calibre which have been Far Cry 2 and most recently Total War: Shogun 2. Far Cry 2 included in the package a t-shirt, map and art book as well as other items. and my Total War: Shogun 2 collectors edition contained a handpainted bamboo chess set. This is incredible and I think both collectors editions were great for the asking price and both contain items I can put on display or use. I much prefer a collectors edition which contains physical items than an edition which mostly comprises of digital extras and whilst you normally do get a few digital items I mainly spend the extra money because I feel I’m getting something worthwhile out of it and not something I have to keep playing the game to appreciate. 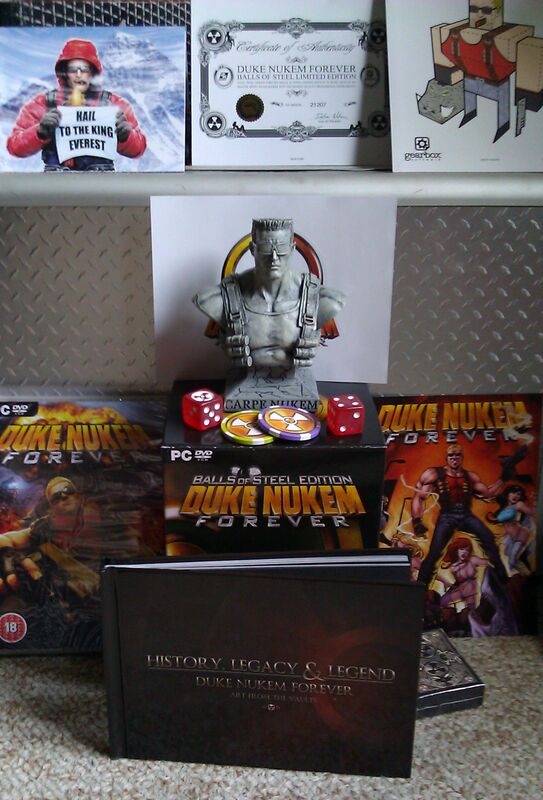 Included in the Balls of Steel Edition is the game, 5 postcards of Duke in various scenes, including Everest as shown in the picture above, two dice, two Duke Nukem branded poker chips, a set of Duke Nukem ‘mini cards’, a cardboard model you can build depicting Duke holding his pistol & the head of a police pig. 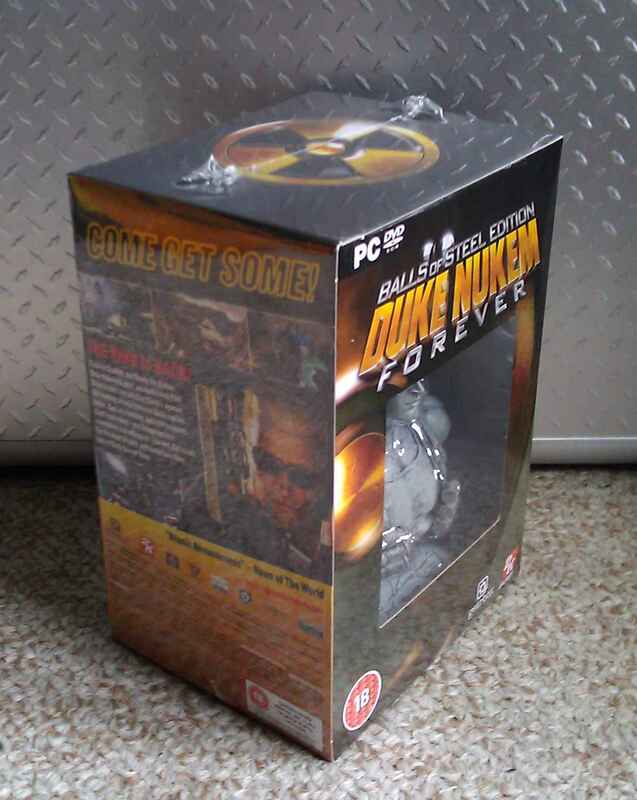 Finishing off those first items is a numbered certificate and a Duke Nukem sticker. On to what I would deem to be the more sentinmental value items, bar the game, which includes a comic book put together for the collectors edition. Having flicked through it to the end it would appear there is some sort of a clever marketing trick here as the creators of this particular comic are producing more in the future. Nice little touch and the comic looked amusing enough and in Duke’s style from what I’ve read so far so it may turn into a nice little comic book series. There is a hardbacked book which has been put together showing off various art and concept work as well as giving a brief bit of background detail on various parts of the game from the levels to Duke to the aliens. This is especially interesting and a fantastic insight into the many different processes and ideas the development teams have taken to come up with the final product. 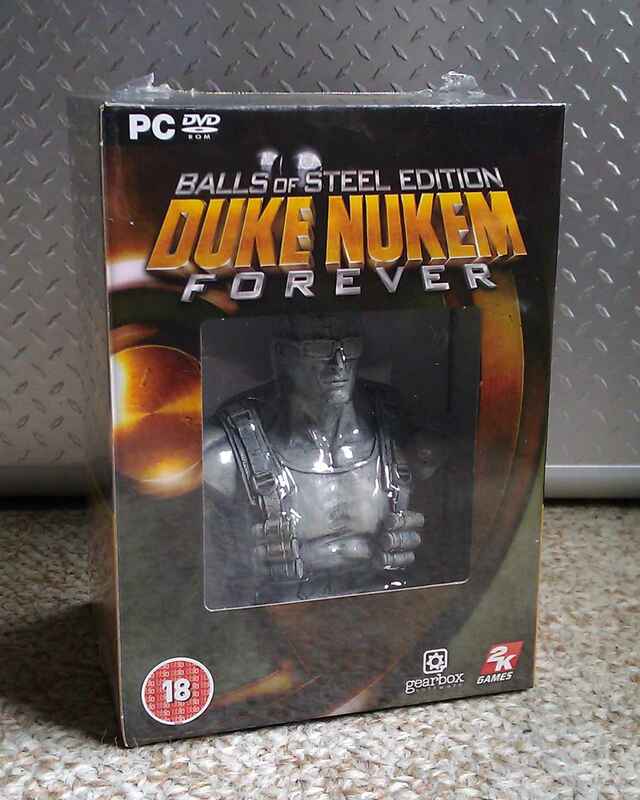 Finally, the centre piece of the collectors edition is the Duke Nukem bust made out of some kind of resin. I think these smallish ornamental objects are great as you can put these on display if you wish unlike the book or the other items in this and many other collectors editions. I have also obtained a code which gives me access to some DLC for the game although this wasn’t originally billed as coming with pre-orders of the game anyway. I just hope that these kind collectors editions don’t stop being used to promote games for their fans because it would be a great shame to just see developers turning to digital content to try and get people to spend a bit more money on the collectors editions. Afterall we can only appreciate the digital content when playing the game whereas physical items can be put on display and shown off to your own personal taste. But was it worth the 14 year wait? Soon find out! John has already played some of it and his initial reaction wasn’t particularly good but I’ve read a lot of mixed reactions to the game on the internet. Most reviews slate the game for being too old even though it is a 14 year old game and a fair few gamers like the game although recognise its weaknesses.